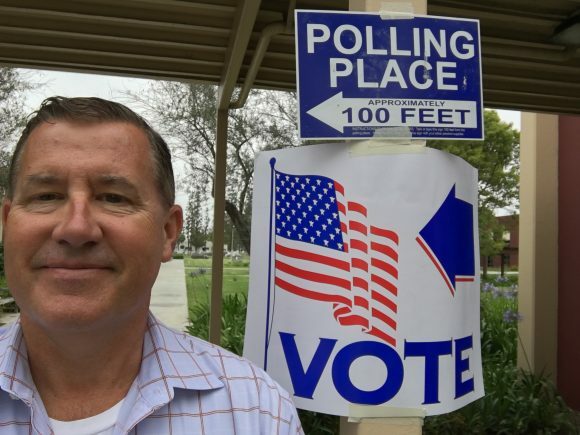 Our Orange County election integrity project is gearing up for the general election. We are also monitoring a number of different conversations about the elections on Twitter, you can see what that conversation looks like at the “National Twitter Monitor”. We are currently seeing a lot of Twitter conversation about Election Day voting and about Remote voting (early and voting by mail). 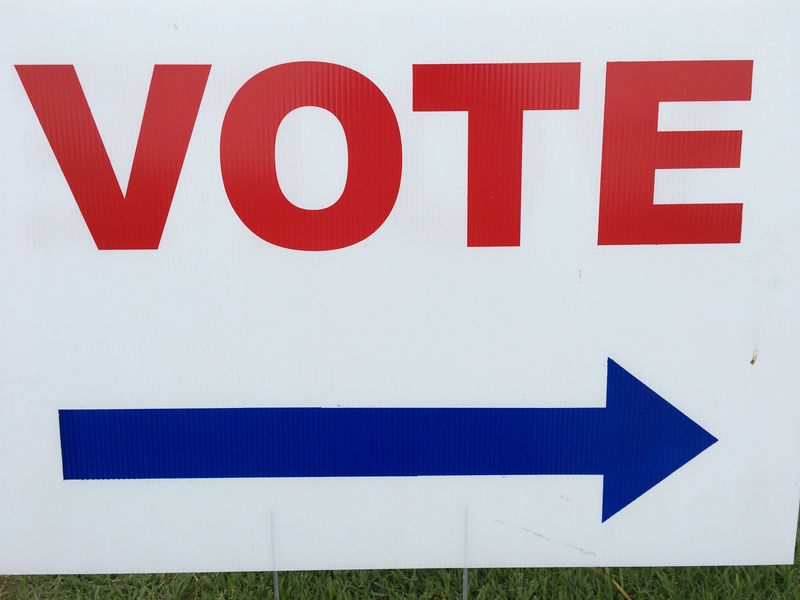 Finally, we have recently posted a summary report that presents the results from our voter registration auditing collaboration with OCRV. The summary report can be found on the “Voter Registration Database Auditing” tab, on the general election dashboard. We will continue to update the dashboard over the next few weeks! This entry was posted in 2018 Election, Uncategorized on October 30, 2018 by Michael Alvarez. As we head into the final stretch of the 2018 midterm election season, I thought I’d share five interesting, well-written, and engaging books that I’ve read recently, books that might provide some useful context for the midterms. The first is Jill Lepore’s These Truths: A History of the United States. Don’t be intimidated by this book’s length (it’s 960 pages! ), as it’s highly engaging, and written in a style that is quite easy to read. I’m impressed by Lepore’s ambition (covering American history in 960 pages), and by the way she weaves through the book detailed stories of many of the personalities behind the important events she covers. This book provides great context for this important midterm election. A second book is Ron Chernow’s Grant. This is also an imposing book, just over 1000 pages (I read parts some, listened to most). I enjoyed this book, mainly as there is a lot of Grant’s story that I didn’t know well, especially his role in the western theater of the Civil War, and the events of his presidency. Reading this book, I was struck by a number of parallels to current politics, and it was quite interesting to read about Grant’s personal and professional struggles, and how he resolved many of the issues he encountered as a person, a military leader, and as president. Third, I recommend David Sanger’s The Perfect Weapon: War, Sabotage, and Fear in the Cyber Age. Sanger covered the Russian attempts to interfere in the 2016 presidential election at the New York Times, and this book provides both great context for the evolution of cyberwar, he carefully and thoroughly discusses what is known about the attempts to manipulate the 2016 elections. As many of you know, we’ve been working on election security for a long time, and a particular focus of our recent research at Caltech has been on developing methodologies for detecting attempts at manipulating voter registration databases. Sanger’s book is a readable resource for anyone trying to understand the security risk that election administrators face. The next two books are more academic in nature, but I’ve been fielding a lot of questions recently about these topics, so I thought I’d put a book about voter turnout and about polling on this list. So regarding voter turnout, the best contemporary book on the subject was written by my colleagues Jan E. Leighley and Jonathan Nagler, Who Votes Now? Demographics, Issues, Inequality, and Turnout in the United States. If you really want to know why people in the U.S. vote, why they don’t vote, and why it matters — you should read Leighley and Nagler. I have a well-read copy in my office, and I find that I refer to their book quite frequently. They are the experts on voter participation, having studied for decades why people vote and why the don’t vote, and their book provides the best analysis of this important subject that I’m aware of. Then there is polling. In 2016 there were many issues with the public polls, especially those trying to gauge voter turnout and sentiment in the final weeks of the election in the battleground states. Polling and survey methodology is in a state of flux; the traditional methods of sampling and contacting respondents (like random-digit dialing) are under considerable scrutiny, and academics and professional pollsters are turning to many different types of respondent-driven survey approaches. The best resource today for understanding the current state of polling and survey methods is the Oxford Handbook of Polling and Survey Methods, which I edited with Lonna Atkeson. It’s a hefty handbook, and it’s not cheap, but it surveys the landscape of polling and survey methods from sampling, to questionnaire design, survey implementation, and the analysis/presentation of survey results. If you have a question about polling or surveying, the answer is likely to be in this handbook. Okay, so perhaps you were looking for me to recommend some books that weren’t political history, about cyberwar, or academic treatments of turnout and polling. If so, here’s a few quick suggestions. For the past few years, I’ve taken the suggestion of Nick Hornby and journaled all of the books that I’ve started, keeping track of the ones I’ve read and enjoyed, those I’ve read and not enjoyed, and those I didn’t finish. Here are five works of fiction; if you are looking for something to keep your attention away from the midterm elections. Five of my favorite recent fiction reads, in no particular order, are: Delia Owens, Where the Crawdads Sing; Kristin Hannah, The Great Alone; Paul Tremblay, A Head Full of Ghosts; Sebastian Barry, Days Without End; and George Saunders, Lincoln in the Bardo. This entry was posted in 2018 Election on October 29, 2018 by Michael Alvarez. It’s cliche to say that “turnout will determine the outcome of the midterms”. That said, turnout also “matters” for election administration. More people registering to vote at the last minute, more people requesting ballots by mail, more people showing up to vote at early voting locations, and most importantly, more people showing up at polling places on election day — all of these can put stress on the processes, procedures, personnel, and technology behind a successful election. If he’s right, that will make for an interesting election — and it could mean that we might see longer lines that people have been used to in many places on Election Day. This could also mean that in many places, especially those with high turnout and close elections, that results may be uncertain for days (perhaps weeks if there are recounts). At this point, these indications at the national level that turnout might be strong in this midterm election lead me to recommend patience. Voters should be patient — there might be lines at early voting locations, and at polling places on Election Day. Stakeholders and the public should be patient — we might need to wait a bit longer than usual to get the results in close elections. I’ll continue to watch these early voting trends, as turnout in this midterm could put some significant stress on the nation’s election infrastructure. This entry was posted in Uncategorized on October 25, 2018 by Michael Alvarez. The OCRV project in Caltech Magazine! Caltech’s Magazine has a feature about our election integrity project, which we are working on in collaboration with Orange County. Read on! This entry was posted in Uncategorized on October 14, 2018 by Michael Alvarez. When we first started the Voting Technology Project, in the immediate aftermath of the 2000 presidential election, there was very little known in the research literature about the administration of polling places. We quickly learned, as part of the initial research we did in 2000 and 2001, that polling place problems might have produced a large number of “lost votes” in the 2000 presidential election, but we really had no precise methodology for then producing a reliable estimate of the number of votes lost to polling place problems in 2000, nor a good methodology for understanding what was going on in polling places that might have generated lost votes in that same election. The data and tools we had available to us back then led us to estimate that up to a million votes may have been lost in the 2000 presidential election due to problems in polling places. Observing elections in Orange County (CA) in June 2018. In our search for new ways to understand what was going on in polling places that might be generating lost votes, we realized that we needed to do some qualitative, in-person, analysis of polling place administration and operations. 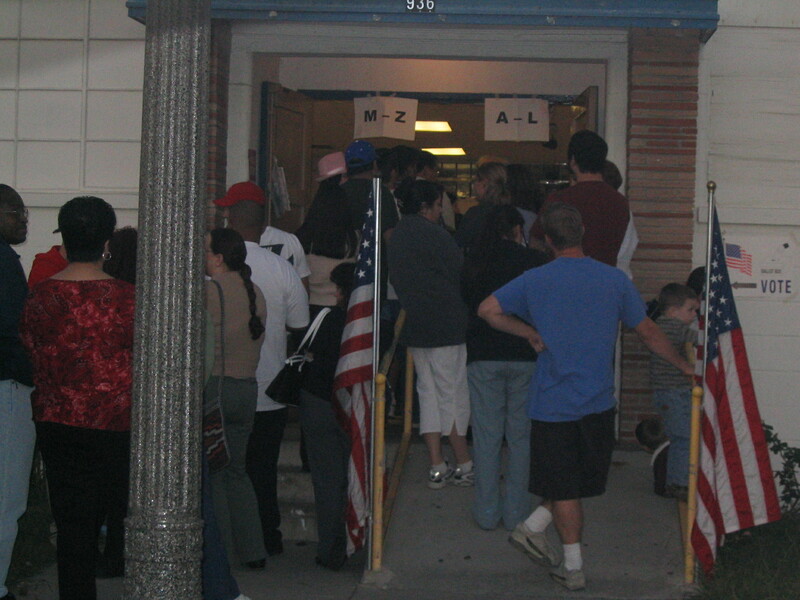 Early in 2001, I did my first in-person observation of polling places, which was an eye-opening experience. 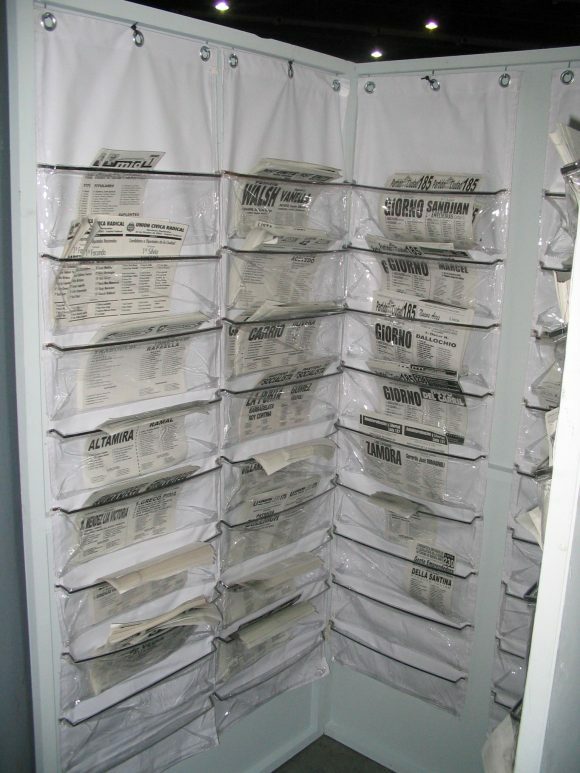 This led to a number of working papers and research articles, for example the paper that I published with Thad Hall, “Controlling Democracy: The Principal-Agent Problems in Election Administration.”. We found that by working collaboratively with state and local election officials, we could gain access to polling places during elections and thereby learn a great deal about how elections are administered, from them and their polling place workers. Over the years, these polling place observation efforts have become quite routine for me, and I’ve been involved in polling place observation efforts in many states and countries. Each time I go into a polling place I learn something new, and these qualitative studies have given me an invaluable education about election administration, polling place practices, and election security. As part of my polling place observations, I early on began to involve graduate students from my research group, and also to involve Caltech undergraduates. I integrated visits to actual polling places into the curriculum of my courses; we would discuss election administration before Election Day, we would then engage in polling place observation on Election Day, and then we would discuss what they observed and what we learned from this activity. In general, this has been wildly successful — for students, to actually see the process as it really works, to meet polling place workers and election officials, and to learn the practical details of administering large and complex elections, is an invaluable part of their education. A number of graduate students who where part of these efforts have gone on to themselves continue to observe elections in their area, and to also build these sort of efforts into their curriculum. But beyond my anecdotal evidence about the effectiveness of teaching students about election administration through polling place observations, I’ve always wondered about how we can try to better measure the education effect of projects like these, and to from there learn more about how to improve our education of each generation of students about election administration and democracy. That’s why I was very excited to see the recent publication of “Pedagogic Value of Polling-Place Observation by Students”, by Christopher Mann and a number of colleagues. I urge colleagues who are interested in adding an activity like this to their curriculum to read this paper closely, as it has a number of lessons for all of us. Good education requires student experiences that deliver lessons about practice as well as theory and that encourage students to work for the public good—especially in the operation of democratic institutions (Dewey 1923; Dewy 1938). We report on an evaluation of the pedagogical value of a research project involving 23 colleges and universities across the country. Faculty trained and supervised students who observed polling places in the 2016 General Election. Our findings indicate that this was a valuable learning experience in both the short and long terms. Students found their experiences to be valuable and reported learning generally and specifically related to course material. Postelection, they also felt more knowledgeable about election science topics, voting behavior, and research methods. Students reported interest in participating in similar research in the future, would recommend other students to do so, and expressed interest in more learning and research about the topics central to their experience. Our results suggest that participants appreciated the importance of elections and their study. Collectively, the participating students are engaged and efficacious—essential qualities of citizens in a democracy. My experience has been that student polling place observation can be a very valuable addition to undergraduate and graduate education. I know that every time I enter a polling place to observe, I learn something new — and helping students along that journey can really have an important effect on their educational experience. This entry was posted in Uncategorized on October 12, 2018 by Michael Alvarez. The LA Times reported this week that another 1,500 registration errors have been identified in the DMV “motor voter” process. This time, the errors are being blamed on “data entry” errors. At this point, given that the general elections are only weeks away, it would be fantastic to see if the type of registration database forensics methods that our research group has been building and testing in our collaboration with the Orange County Registrar of Voters might be applied statewide. While there’s never any guarantees in life, it’s likely that the methods we have been developing might identify some of the errors that DMV seems to be generating, in particular potential duplicate records and sudden changes to important fields in the registration database (like party registration). We’d need to test this out soon, to see if how the methods that we’ve been working on with Orange County might work with the statewide database. Third-party forensic analysis might help identify some of these problems in the voter database, and could help provide some transparency into the integrity of the database during the important 2018 midterm elections. This entry was posted in Uncategorized on October 11, 2018 by Michael Alvarez. Late this past week, there were stories in California newspapers about yet another snafu by the DMV in their implementation of the state’s “motor voter” process. This time, DMV seems to have incorrectly put people into the voter registration system — though exactly how that happened is unclear. Of the 3,000 additional wrongly enrolled voters, DMV officials said that as many as 2,500 had no prior history of registration and that there’s no clear answer as to what mistake was made that caused registration data for them to be sent to California’s secretary of state. The Secretary of State’s Office is reportedly going to drop these unintended registrations from the state’s database. 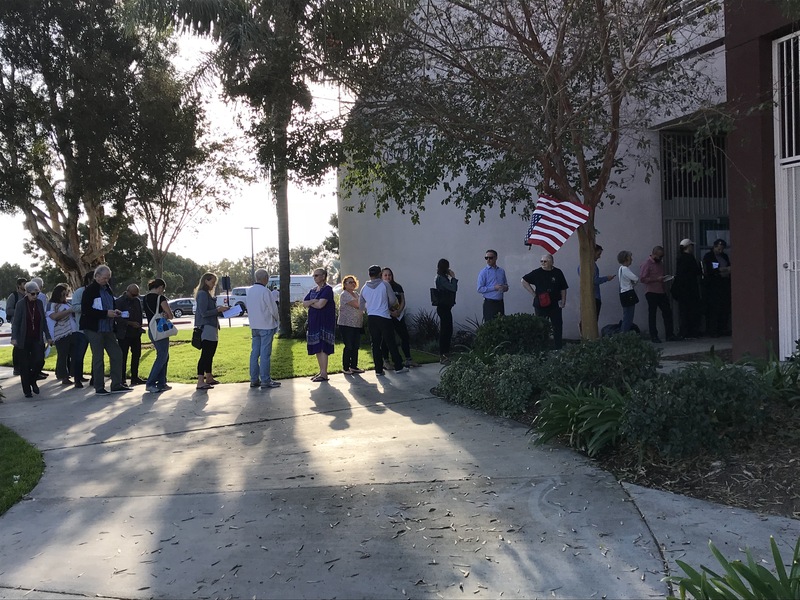 As we are nearing the November 2018 midterm elections, and as there is a lot of energy and enthusiasm in California about these elections, there’s no doubt that the voter registration system will come under some stress as we get closer and closer to election day. Our advice is that if you are concerned about your voter registration status, check it. The Secretary of State provides a service that you can use to check if you are registered to vote. Or if you’d rather not use that service, you can contact your county election official directly (many of they have applications on their websites to verify your registration status). This entry was posted in election administration, voter registration on September 22, 2018 by Michael Alvarez. This comes on the heels of reports before the June 2018 primary in California of potential duplicate voter registration records being produced by the DMV, as well as the snafu in Los Angeles County that left approximately 118,000 registered voters off the election-day voting rolls. These are the sorts of issues in voter registration databases that my research group is looking into, using data from the Orange County Registrar of Voters. Since earlier this spring, we have been developing methodologies and applications to scan the County’s voter registration database to identify situations that might require additional examination by the County’s election staff. Soon we’ll be releasing more information about our methodology, and some of the results. For more information about this project, you can head to our Monitoring the Election website, or stay tuned to Election Updates. This entry was posted in election administration, voter registration on September 6, 2018 by Michael Alvarez.